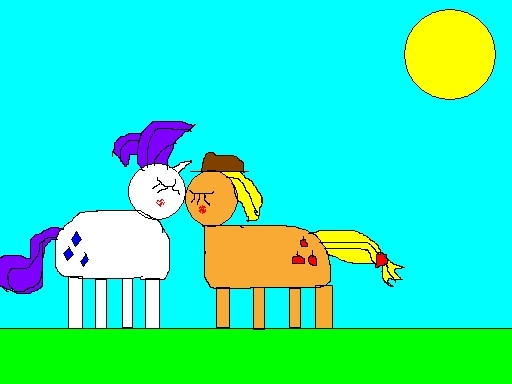 Rarijack painting (MS Paint fail?). Just a simple Rarijack.. Wallpaper and background images in the My Little Pony - La Magia de la Amistad club tagged: my little pony friendship is magic shipping rarity applejack ms paint fail? i need a life.